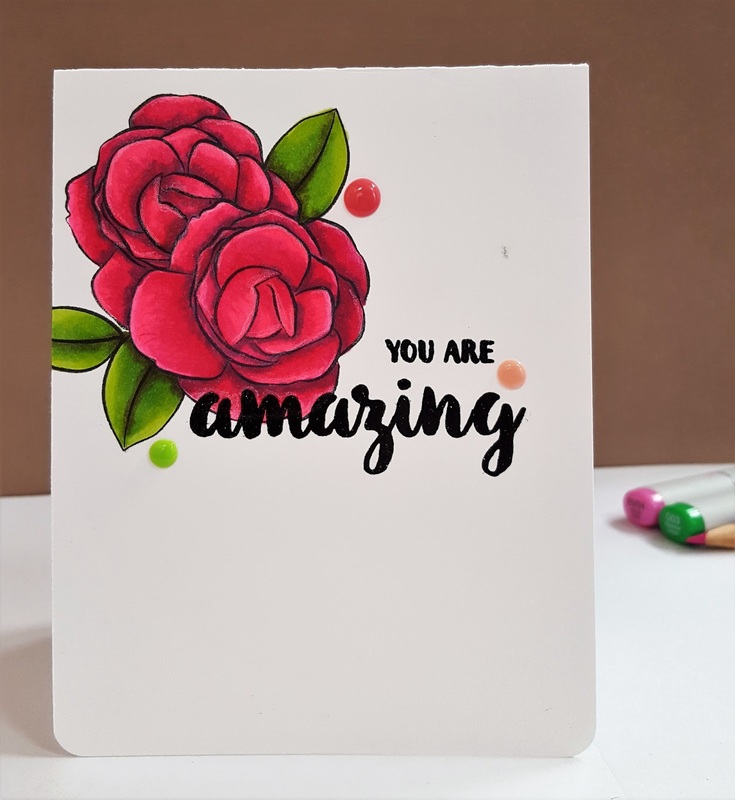 I used the rose and leaf stamps from Winnie and Walter's In Bloom: Anna's Flora for this one. I stamped one of the roses and then stamped on a sticky note and cut out a mask so I could stamp the second one. Then I stamped a few of the leaves around them and used copics to color the flowers. 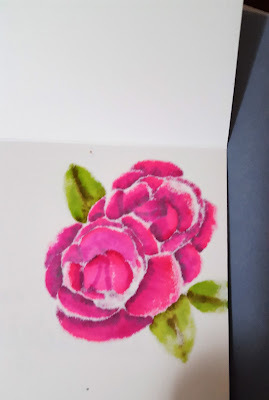 I want to learn how to use colored pencils with my copics to give more details but for this one, I just used a white pencil to give a little more highlight on the edge of the petals. 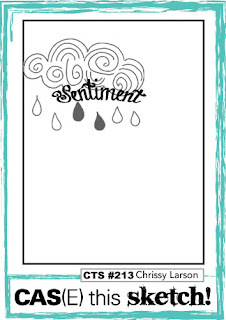 The sentiment is from Wplus9's That is All stamps. I used black versafine ink and then clear embossed over it. I added a few nuvo dots around and rounded the corners off to finish this. 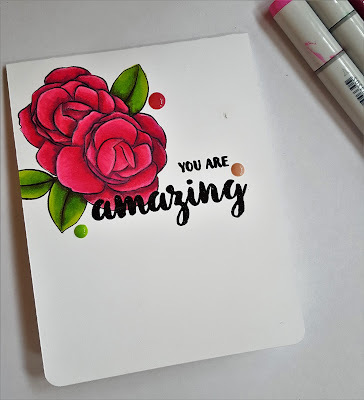 I had originally thought that I would put a piece of white cardstock on the inside to cover where the markers bled through but I actually think the inside turned out kind of cool. (Sorry for the bad lighting, I took this one at night). 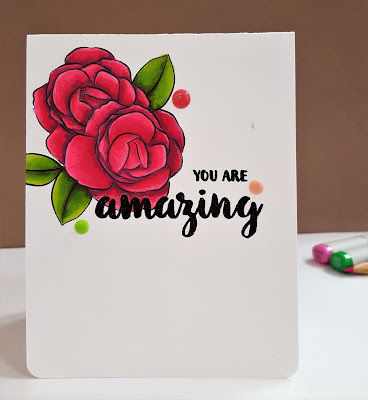 I've seen other cardmakers use this technique and it is something I would like to try using some day. I am putting this in the CASE this sketch challenge #213.